Placer Gold Design selects only the finest gem quality meteorite for our jewellery lines. 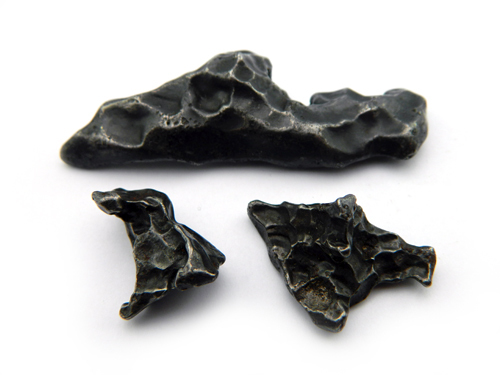 Meteorite is a very durable and versatile metal for use in jewellery. The only damage that can be done to the meteorite is through extreme heat (1,000 degrees Fahrenheit) or forging. 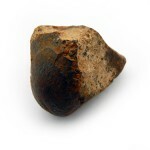 We have an extensive collection of jewellery and accessories set with Gibeon, Sikhote-Alin and Taza meteorites. 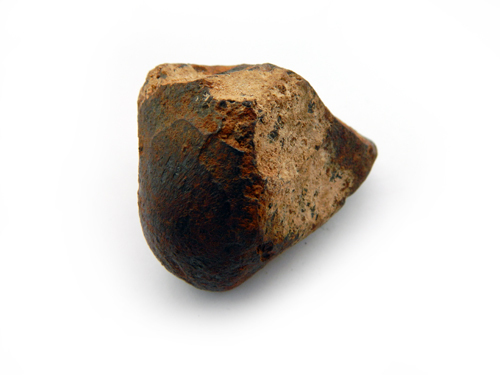 The Sikhote-Alin meteorite fell during daylight at 10:38 a.m. local time on February 12, 1947. Specimens from this fall are of two types. Some — those called “complete individuals” — show ablation and fusion crust. These are probably the ones that broke off of the main mass early in the decent. The surface was vaporized and eroded by the trip through the atmosphere. These are characterized by regmaglypts — or thumb prints — ablation cavities in the surface of the specimen. The second type of Sikhote-Alin specimen is the fragments. These show the violent effects of being torn apart in the atmosphere or being blasted apart on impact with the ground. A metallurgist would say they were cold-worked. These are probably the fragments from the explosion 3.5 miles high. Many look like shrapnel from violent explosions. Some show shield shapes or orientation. Striations may be seen on some flatter surfaces. This gem quality meteorite is a fine iron/nickel Gibeon class meteorite found in Namibia, West Africa. The age of this material has been determined to be 4.6 billion years old. The natural crystal structure (a fine grain octahedrite) was formed as the meteor cooled by one degree every million years. This pattern is called Widmanstatten lines and is proof positive of extra-terrestrial origin. 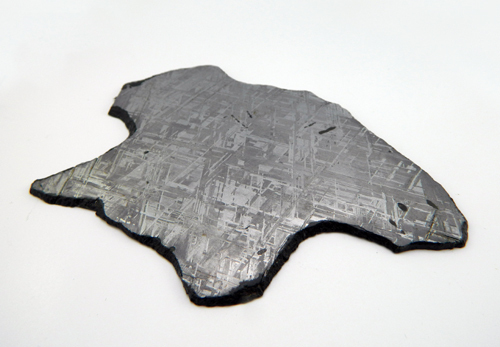 Due to the high nickel content Gibeon class meteorite is a very durable and versatile metal resistant to oxidation. Set in fine jewellery and accessories this gem meteorite makes an exciting addition to a jewellery collection. Set in fine jewellery and accessories this gem meteorite makes an exciting addition to a jewellery collection. Taza Meteorite (officially known as NWA 859) is an iron, plessitic octahedrite meteorite. It is reported to come from near the village of Taza, Morocco. Found in the year 2000 with a total known weight of around 130kg. 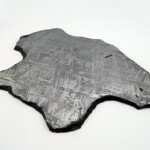 It has a high nickel content and displays a very fine grain octahedrite or Widmanstatten line. It is extremely rare. 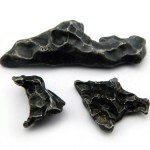 To see our collection of Meteorite Jewellery, click here.